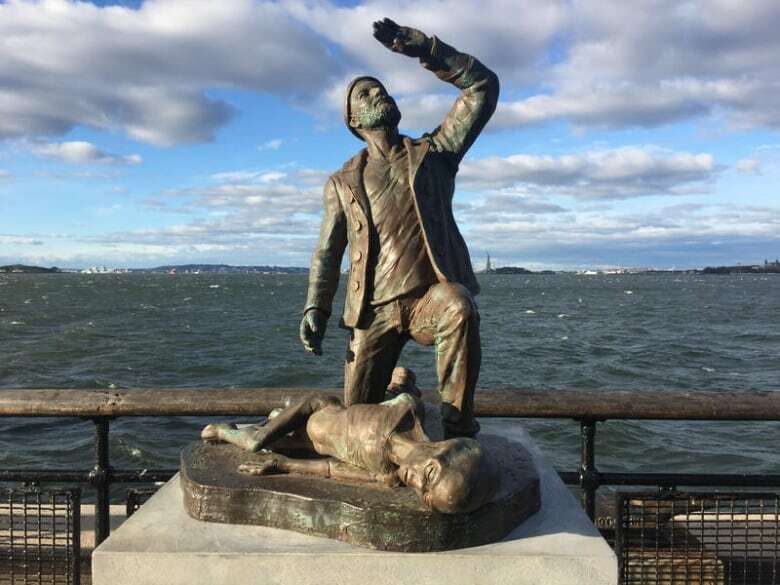 A mysterious statue of a longshoreman kneeling over the corpse of an alien has appeared in Manhattan's Battery Park. The man responsible for the monument is Joe Reginella. He joins guest host Ali Hassan to talk about his renegade public art projects. 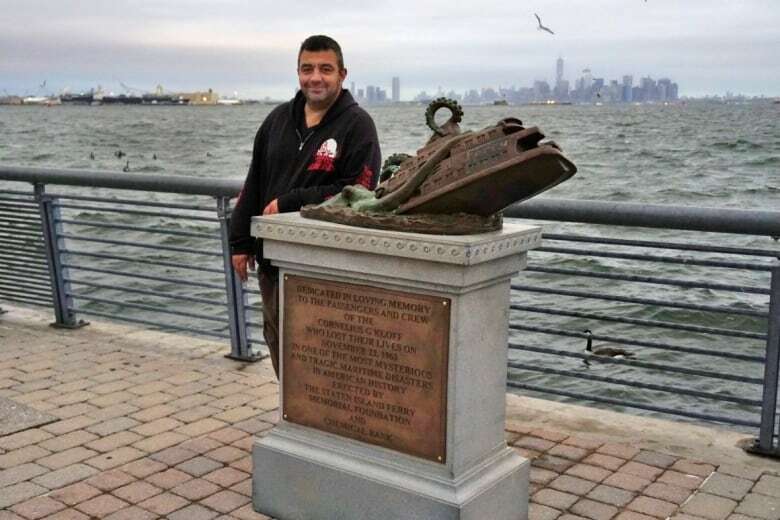 Battery Park's famous monument in New York City commemorates a tugboat crew who saw strange lights in the sky one evening in 1977. Everyone on board mysteriously disappeared — and all signs point to alien abduction. Whether you believe that story or not, the monument itself is real, which was enough to convince a lot of people passing through Battery Park this weekend. 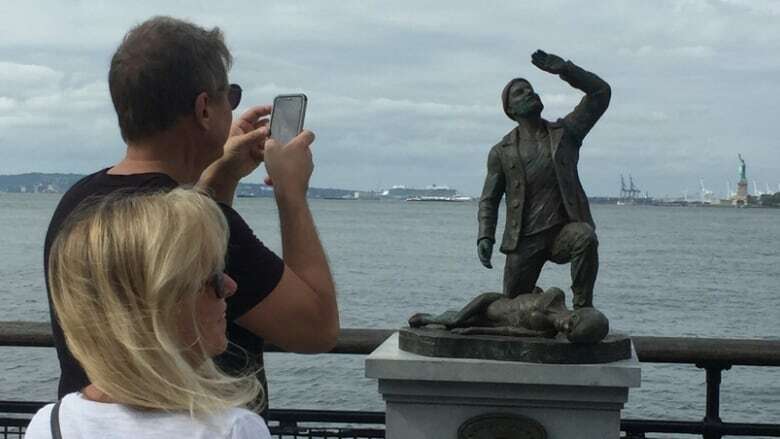 What those tourists didn't know was that the man responsible for the monument was standing nearby pretending to be a fisherman while quietly observing their reactions. Joe Reginella is an artist from Staten Island who's known for his renegade art projects. He built the statue and slips it into the park every weekend in the fall. Some of Reginella's other monuments include one honouring 400 people who died when a giant octopus pulled the Staten Island Ferry down into the Hudson River in 1962, and another of a stampede of elephants crossing the Brooklyn Bridge in 1929. Today, the man who the New York Times calls "the Banksy of monuments" joins guest host Ali Hassan to reveal some of his secrets.